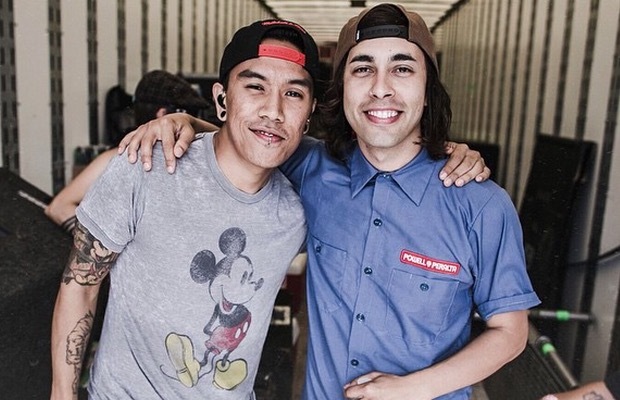 Due to the recent hospitalization of guitarist Tony Perry, Pierce The Veil have enlisted former My American Heart member Jesse Barrera as a fill-in for Warped. On joining the band for a few dates this summer, he claims, “Knowing how it is to lose a member for a tour, I didn't hesitate to help my brothers out.” You can watch him, along with the rest of PTV, perform “King For A Day” below. Additionally, Pierce The Veil are set to perform at the 2015 AP Music Awards, where frontman Vic Fuentes is nominated for Best Vocalist and Tony Perry is up for Best Guitarist. Cast your vote and purchase your ticket now!